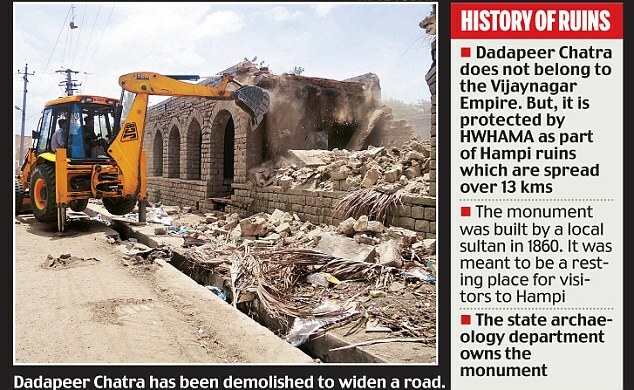 The Public Works Department (PWD) created history by razing Dadapeer Chatra, which is 3 kms from Hampi. The structure is 153 years old, which was built by a local sultan in 1860. Sadly none of the Indian main stream media, State or National, have reported this in any medium - print or digital. Only DailyMail has a report on this. Wonder if Karnataka Govt is serious about conservation. H/T: Came across this via Amog's post.